The Canadian Stage Company was founded in 1988 through the merger of CentreStage and Toronto Free Theatre. The merger came out of complementary ideologies as well as practical advantages: it seemed an ideal marriage because of the flexibility of venues that the new company would offer, not to mention the increased human and financial resources available to each. For the 1987-1988 season, two separate programs were mounted under the banner Toronto Free Theatre/CentreStage Company. The following year (88-89), the first cohesive season premiered under the new name The Canadian Stage Company. The Canadian Stage Company officially came into existence in March of 1988 with its production of B-Movie, The Play written by Tom Wood and directed by Bob Baker. With the merger, the company’s combined budget rose to $6 million, an unheard of figure for a Canadian company, other than the Stratford and Shaw Festivals. The first season featured thirteen productions, including seven by Canadian playwrights, such as Yesteryear by Joanna Glass and1949 by David French. In 1990, Bob Baker was appointed Artistic Director and molded the future of the company by establishing a formal mandate. In 1992, Martin Bragg was appointed General Manager and was promoted to Artistic Producer when Bob Baker stepped down in 1998. As Artistic Producer, Mr. Bragg shifted the company’s mandate to the current contemporary focus, and opened the doors to artists, encouraging them to look upon The Canadian Stage Company as their creative home. 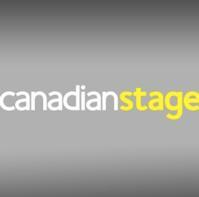 In 2007-2008, Canadian Stage celebrated its 20th Anniversary. In July of 2009, Matthew Jocelyn became Artistic & General Director; in March 2010, he unveiled a new company mandate along with the 2010-2011 season, which marks his first season programmed for the company as well as his directorial debut with Canadian Stage.